CHINA. 2013. Altai Mountains, Xinjiang. Kanas, a small village in the upper Altai, where a few hundred Kazakhs and Tuwans live. 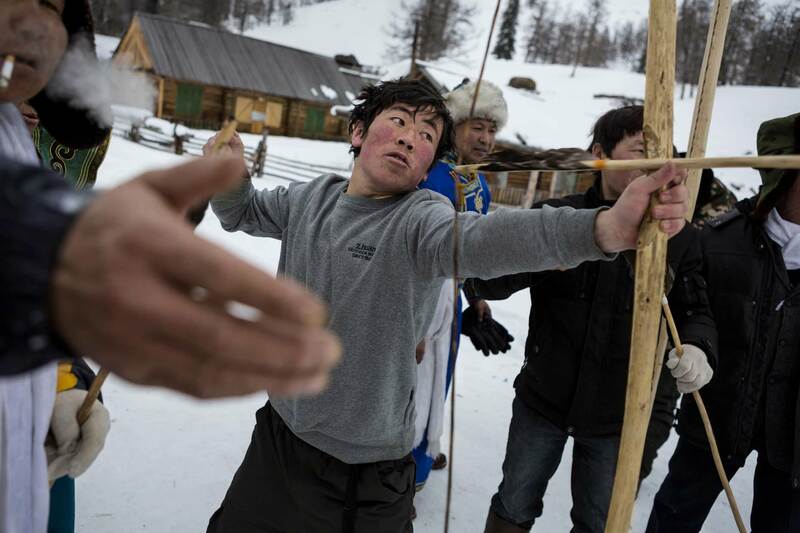 In local tradition the three days after the chinese new year are continous festivities, where the men have archery competition, drink and eat meats.